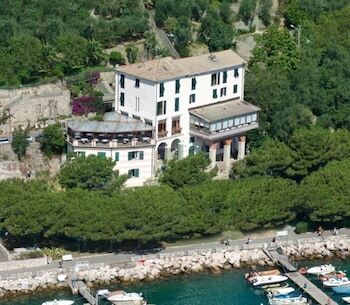 With a stay at Hotel Paradiso in Portovenere, you'll be by the sea, within a 5-minute drive of Doria Castle and Porto Venere Regional Natural Park. Featured amenities include express check-in, express check-out, and dry cleaning/laundry services. For a surcharge, guests may use a roundtrip airport shuttle (available 24 hours) and a train station pick-up service. With a stay at Perla del Sole in Syracuse, you'll be by the sea, a 5-minute walk from Arenella Beach and a 4-minute drive from Fanusa Beach. Located in Corciano, Colleverde Country House is in a rural location, within a 15-minute drive of Antognolla Golf and Church of San Michele Arcangelo. Free self parking is available onsite. With a stay at Casa Genovese in Vulcano, you'll be within a 10-minute walk of Oasi della Salute and Laghetti di Fanghi. Free self parking is available onsite. With a stay at A 4 Passi Dal Mare in La Spezia (La Spezia Historic Centre), you'll be steps from Gulf of La Spezia and Corso Cavour. Self parking (subject to charges) is available onsite.